Last month we unveiled the first part of our new acoustic session with ATP! favorites, Tonight Alive and today we're pleased to be sharing the final installment! Vocalist Jenna McDougall and guitarist Whakaio Taahi treated us to an exclusive first time performance of "Come Home" as well as their recent single "Lonely Girl." 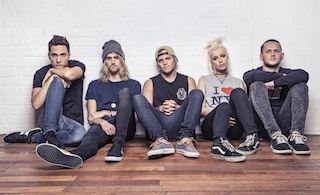 Don't forget to catch Tonight Alive on their ATP! sponsored tour this fall with The Downtown Fiction, For The Foxes and Echosmith. Tickets go on sale tomorrow (Friday, September 13th). Both tracks are taken from the band's awesome new album The Other Side that is available now via Fearless Records. You can check out our 5/5 review of the record here.